The begining of the new year always brings the same resolution for me - lose weight, be healthier. In my defense I tried - I really did. I've been eyeing the Wii fit for weeks now, even though we didn't even own a Wii. This sounded promising to my husband who probably never expected to get a new system since we already have the playstation. He waited patiently until Walmart had their big sale (the one where you buy the Wii system and get a $50 gift card). I finally agreed and he wasted no time hustling to Walmart. So anyway, we got the Wii. We enjoyed the Wii Sports and I even thought the boxing would make a decent workout. 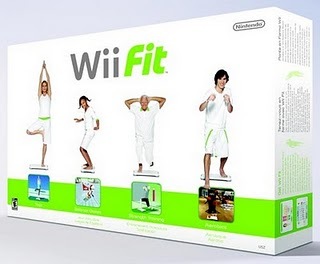 But I still wanted the Wii Fit. We waited until after the holidays (stupidly hoping for a sale) only to find that everyone who received a Wii on Christmas was out shopping the day after Christmas and snatched up all the Wii Fits. Grrr. I finally go to the Walmart in Sidney. 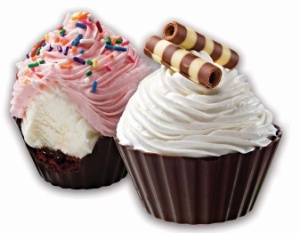 While getting off I-75 I remembered the Coldstone Creamery. Damn! I told myself that if this last Walmart had a WiiFit then I was going to reward myself with ice cream. After all, I worked off a lot of calories getting in and out of my car. Of course Walmart failed me. Before I even left the store I talked myself into the ice cream anyway. It was delicious! Then I saw the sign for the Coldstone Cupcakes. How will I resist these?